Full disclosure: Columbus Foods provided free salami products for me and my support group to review and also for this giveaway. However, this is not a compensated post and the opinions expressed here are strictly my own. In my book, there’s “really good” salami, “okay” salami, and “no thanks, I’ll pass” salami. Columbus Foods offers really good salami! Mr. GFE and I enjoyed it as an appetizer on crackers, in the aforementioned rolls, and even as pizza topping. With the help of my support group “sous chef,” I even served up some at our last support group meeting … just for small bites or pairing with some of our other food items that evening. Those tasty bites were very much enjoyed, even without much accessorizing! Columbus Foods sent me one of their tasting kits, plus one more—a total of five products with their tasting guide that allow you to be a true salumiere. The latter is an education on both Columbus Foods and this delicious type of meat. ~ “Salumi is the general Italian term for cured meats and it derives from the Italian word for salt, sale. It came into being as a necessity; it was a way of preserving meats to last longer for consumption. The most common examples of salumi are Prosciutto and Pancetta. Salame is a specific category of salumi that is dry-cured, fermented meat that’s encased in a natural or synthetic casing. 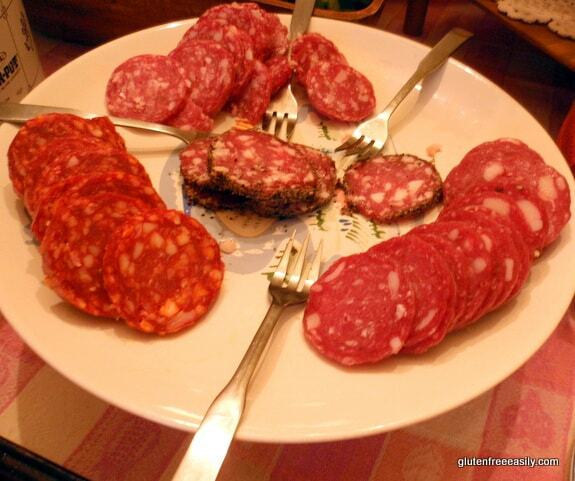 Salame can be made from many different types of meat … all Columbus salame is made exclusively of pork. Three gfe winners will get this same giveaway package, plus the very worthwhile tasting guide (with pairing suggestions, an area for tasting notes, etc.—makes for a great little party activity for two or more!). Each giveaway package is valued at about $40 (not including shipping and handling). This giveaway ends Thursday, March 29, at midnight. Important Note: Because this giveaway prize involves food that must remain cold during shipping, this giveaway is not open to international readers; I am sorry. I like Columbus Salame on facebook. I love salami, especially eating it with crackers and pickles. I love chopped up on a salad with black olives, chickpeas, red onion and a homemade Apple Cider Vinegar salad dressing! Another great giveaway, Shirley! And while we don’t have it around often, we love good salami in our home. 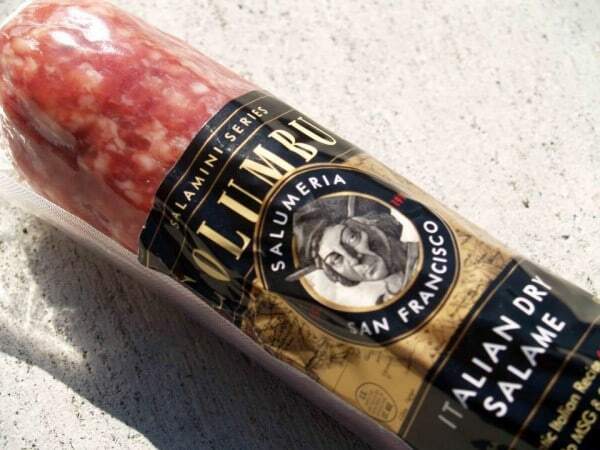 Columbus Salame sounds like a great company. I think I’ve seen some of their products at Cost Plus World Market. I’ll have to get some when I go next time! In the past it was in a sandwich of a nice French bread with a bit of mayo. Now I love to smear some avocado on the salami and roll it to eat. I might even add a bit of onion. I love salami with slices of cheese on it, as a very filling appetizer. My second choice is in a sandwich with bread and mayo. My husband and I love to have a light dinner of salame, cheese, crackers and fresh veggies some evenings when neither of us feel like cooking. I love Columbus dry Italian salami on sourdough bread with avocado. i just like to chomp a big bite out of it, no knives or bread necessary (a bit of hot mustard some days). your salame or salami is the best all around.eat it with sour dough bread or crackers.and provalon cheese very aged. I Love Columbus Salame the way it was served at our favorite restaraunt growing up on an Antipasto type plate. We do this occasionally for snacks or light dinner. Great for a summers eve. I love salame just by itself! I also like it with french bread and a good cheese. Or on pizza. I love all Columbus products. One of my favorite snacks is a slice of cacciatore on a piece of crust from fresh italian bread, with a dab of gorgonzola dolce. Yum!!! This days I enjoy it plain, or maybe with a little good-quality cheddar cheese. When I still ate gluten, though, I loved it with bagels and cream cheese. My favorite salami meal is with sourdough bread and dry jack cheese. I love salame with a multi grain cracker and brie cheese! We are HUGE Columbus Salami fans and go through three packages a week in our house. My husband likes it on g/f bread and I dearly love it in a salad! Salami, cheese and apple slices – yum! Oh- and I get your updates via email!! The best way to eat Salame….thin sliced….cold beer..and friends! Like them on Facebook – thanks for the great giveaway! I like to top my pizza with it to make it meaty with protein! As a child I was introduced to hard salami sitting on the back porch swing with cousins. My uncle had a full stick of hard salami, slicing pieces for us all to enjoy. I have eaten it this way since, for 52 years now. I purchase a good quality salami every two weeks, I eat it mostly by the slice, on gluten free pizza, with goat milk cheese or as salami sandwiches. My mouth was watering gazing at your wonderful picture of salami’s teasing my tastebuds. 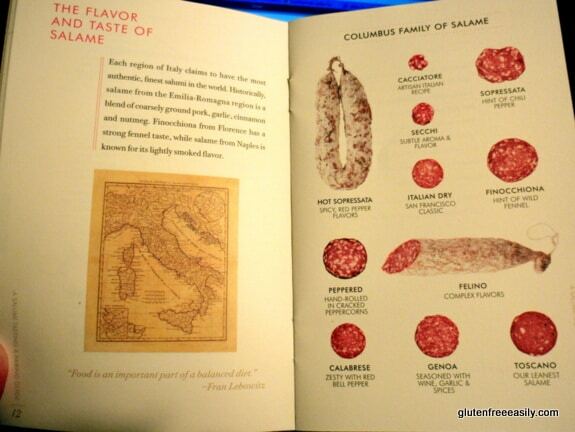 I liked Columbus Salame on facebook. 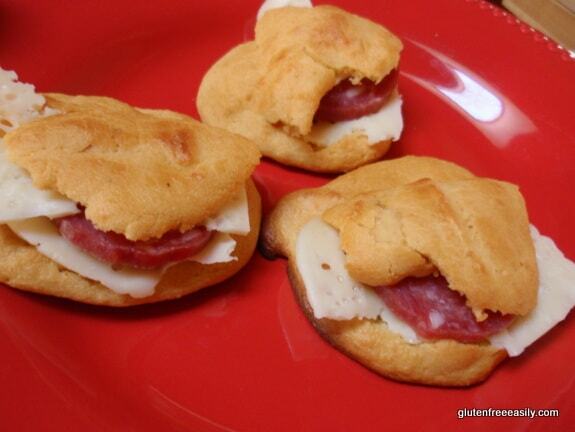 Favorite way to eat salami is on GF crackers…nothing to interfere with the taste! I like it chopped in my salad for an Italian Chopped twist! Liked them on facebook – thanks! Roll up salami with philly cream cheese and peppercini. I like salami with pickles or olives. Yum! Yum! I’d love that! I’d totally share it at my dad’s upcoming birthday because we are all gluten-free, and he loves sausage, etc. and so many have sketchy ingredients! I love salami with a cracker! Ah boo that it’s not open to international readers, but I do understand :(( It looks amazing. Keep up the great work! Sounds yummy — wish I could enter the giveaway. Thanks for introducing me to a new GF product! I like it with a piece of cheese! I love Columbus brand lunchmeats. Costco sells them for a great price. I have not tried the salami but would pair it with crackers and a piece of cheese. Hi, I’m 12 years old and I love to bake and cook. I just wanted to tell you I made your recipe for pizza muffins tonight and they were delicious!! Thank you for the recipe! Crackers paired with salami are my go-to pick me up snack! Fan on facebook too -thanks so much! Love salami on crackers. My son loves salami too. I would love to try these. I love eating salami with sharp cheddar cheese! My favorite way to eat salami is in a toasted gluten-free sandwich with lots of ketchup. I love Columbus deli meats, but have never had their salame…I am a huge fan of salame though and would love to try this. I enjoy it on sandwiches with mustard and on gf crackers with sundried tomatoes. I already like Columbus Salame on facebook. On the rare occasion my boys keep salami in the house long enough for me to eat it, I like to snack on it with an orange or clementine. The flavors work perfectly together! I love the flavor of salame so I normally eat it alone….sometimes i have a little spicy dip though too. 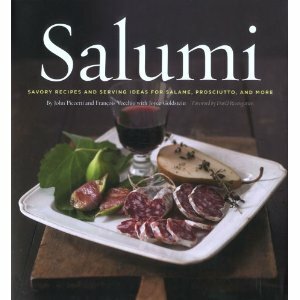 I “like” Columbus Salame on Facebook! I love salami with a little Swiss cheese or even just plain for snacking. It’s also great in salads with some Italian dressing! I love salami no matter how you spell it. 😉 Especially when I’m out of gf crackers—they’re a handy holder for cheese to go with my wine, HA! Love salami in a salad, with cheese or olives…actually pretty much however I can get it! Just straight out of the package! Or as a sandwich with some spicy mustard! I love giveaways–I mean salami! And I love it on crackers, or in a sandwich with lots of mayo. Yum! We love to eat salamis in sandwiches, or with crackers & cheese & dips at cocktail & hors d’oeuvres time. I like it as a quick snack with pickle & chips. I also like mine with mashed potatoes or pasta. Good salami goes well with a lot of dishes, snacks, crackers & more. The possibilities are endless!! I haven’t had it since going GF, but I would have it on Miracle Whip slathered GF crackers. I love the Columbus brand salames. They are perfect paired with a great Italian red wine or on my favorite panini. I make the panini with gluten free ciabatta bread, the Italian dry Columbus salame, fresh basil, roasted red peppers and a good fontina cheese. Buon appetito! I like salami cut up in pieces, grilled, and dipped in honey mustard. So yummy! Haven’t had it in years though since its hard to find some without MSG or other chemicals. I love salami with crackers !! LOVE SALUMI!!!!!! SALAMI!!!!! SALUME!!!! LOVE IT ALL!!! I love eating salami on a nice antipasti platter, maybe a glass of wine and a nice night with my boyfriend, if we can ever get a babysitter. I like my salami sliced very thin…On a sandwich, crackers or just by itself!!!! I’ve never tried the Columbus brand and I will have to look for it at my favorite market! Great giveaway!!! I loooove salami on gf crackers!!! This looks so good! I would eat it in a salad! I won and am so excited! I’m looking forward to my Columbus salami. Thank you so much for this wonderful giveaway! Thank you so much Shirley! We will definitely be enjoying it!